WOW. 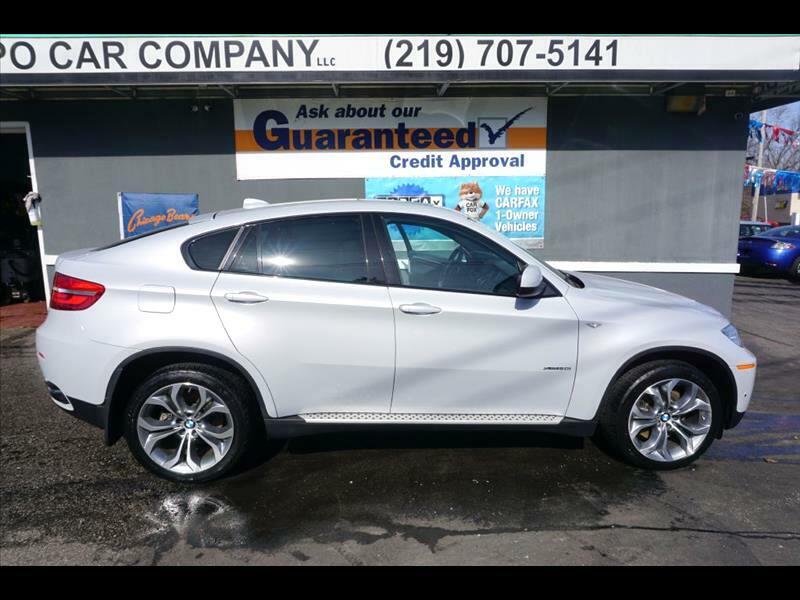 This may be the nicest BMW we've ever had on the lot- our 2013 BMW X6 is in IMMACULATE condition- LOW MILES, perfect CarFax, specialty paint, tons of features like the M package, cold weather package, convenience package, tech package, skyview, auto closing doors, individual heated seats and temp control, heads up display, LED headlight package, factory tow hitch, and more! Meticulously taken care of- newer tires, freshly installed BMW brake/rotors all the way around, fresh tune-up with coils and plugs, new battery, aligned, and more- this is as mint as they come, and all the work has been done at BMW repair centers. This is CHERRY! Our discounted internet sale price is $27,995! Give us a call at 219-707-5141 thanks for looking! !